The modern age that we live in can often mean that sacrifices have to be made and this usually means things that were a priority while we were younger, are put on the back burner. While that is in no way a bad thing, for us car people, it can leave a void. An open road and the sweet chimes of a tuned motor can be hard to replace. Luckily, however, there are ways to kill the time between trips to the garage, which is perhaps way a large percentage of car people are avid collectors of auto related memorabilia. Scale models being one of, if not the, most popular examples. As the world grows closer via the internet, what were once relatively unknown small workshops have been able to grow into global cult heroes. Two of the world's biggest trend-setters for the last few years have undoubtedly been RAUH-Welt BEGRIFF and Tra-Kyoto’s Rocket Bunny. 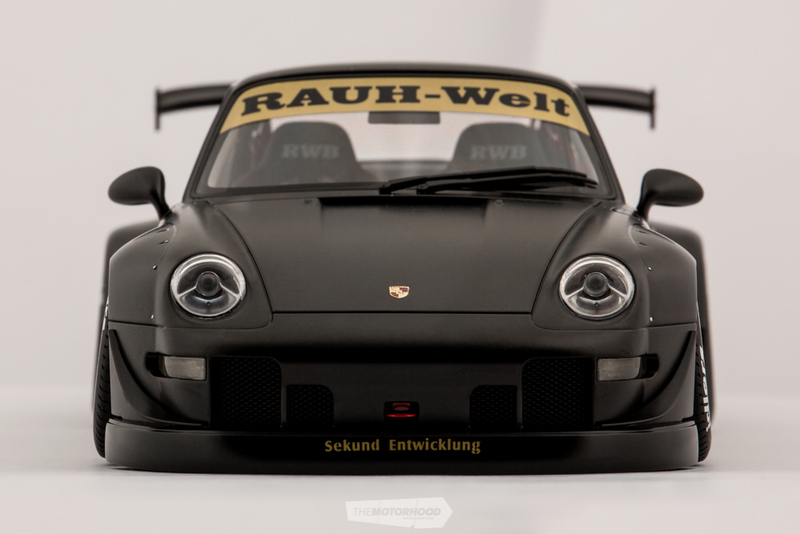 So when scale diecast stalwarts AutoArt wanted to bring a new tuner flavour to its lineup, it was these two full-scale heroes that they turned to first. 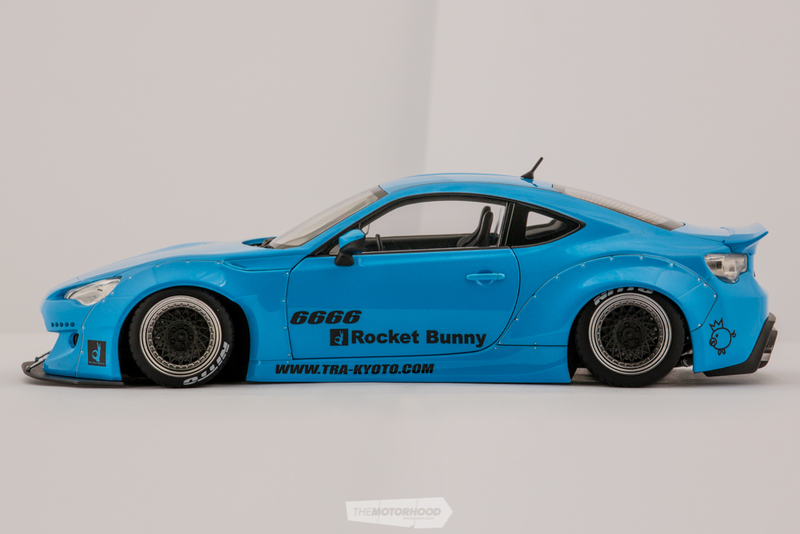 Adding to their already massive lineup of cars, the RWB 993s and Rocket Bunny Toyota 86s convey a unique flavour that makes them stand out amongst the more factory models — just like the real life equivalent. Updated tooling has meant that these models have been produced to the highest and most accurate of standards, the kind of stuff us car people thrive on. To put it plainly, the replication of the cars is simply on point. Everything has been taken into consideration: from the ride height and wheel offset, to the rivets and fitment of the over-fenders. Each of the 993s five color choices carries a unique name as is the tradition for all RWB cars. Both the 993 and 86 options have detailed interiors, showcasing even more attention to detail with bucket seats, full harnesses, steering wheels and gauges. 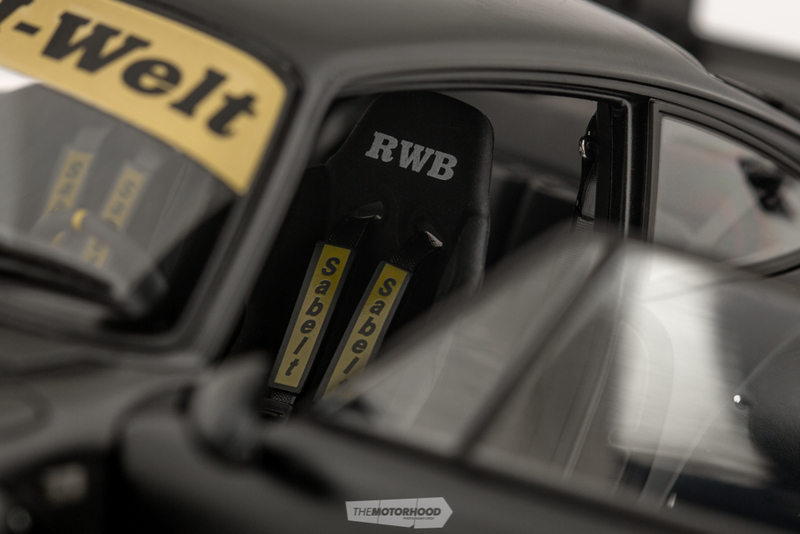 The seats in the 993 also carry the renowned RWB logo. It’s safe to say that while the scale of these cars is only 1:18 of the real thing, the essence of what makes them cool is still firmly ingrained in the presence of the model versions. And you lucky buggers have the chance to get your hands on a Rocket Bunny 86 thanks to AUTOart — all you’ve got to do is copy the secret code below, and message it through to the NZ Performance Car Facebook page to go into the draw.